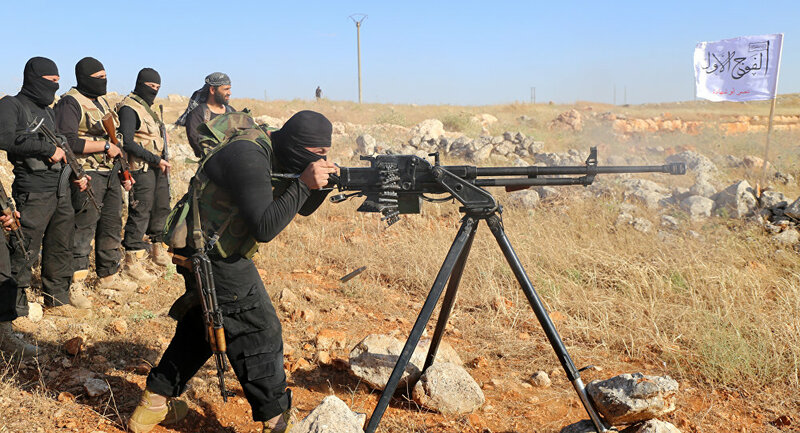 The US Central Intelligence Agency (CIA) prepares to supply Syrian rebels with more lethal weapons should the fledgling cessation of hostilities in the Arab republic collapse, US media reported, citing officials. MOSCOW (Sputnik) – The message that "all bets will be off" and the so-called Plan B will come into force should the truce collapse and negotiations lead nowhere was reportedly relayed by CIA Director John Brennan and State Secretary John Kerry in private meetings with Russian counterparts. "The outside patrons will double and triple down, throwing everything they can into Syria, including much more lethal weaponry," a senior US President Barack Obama administration official told The Wall Street Journal late Tuesday. The CIA and its regional partners are considering various types of anti-aircraft weapons for deliveries to Syrian rebels, although US and Mideast officials declined to specify the precise systems, citing the program's sensitivity and concerns with Syrian government backers' possible countermeasures. "The agreement is to up the ante, if needed," a senior US official conveyed the CIA’s message to the US coalition backing Syrian rebels. The so-called Plan A cessation of hostilities between Syrian government forces and rebel groups, with the exception of terrorist networks operating in the country, took effect on February 27 and has been described as largely holding despite violations. The day after Russia and the United States negotiated the ceasefire, on February 23, White House spokesperson Josh Earnest said the United States was "not ruling out a plan B" in case the truce did not hold. Russia questioned US commitment to the cessation of hostilities with its contingency plan.